Life Athletes, hello and welcome to episode 84 of the Life Athletics Podcast! 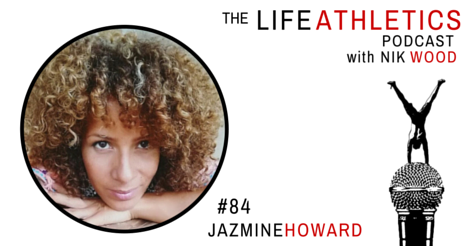 Today’s guest Life Athlete is Jazmine Howard. Currently based in Bali, Jazmine keeps herself busy by helping out a local business maximize its potential and improve the owner’s way of life. She’s been everywhere and worked as a visual manager for big brands such as Ikea, H&M, Ralph Lauren, among others – but she realized that she was never really cut for the nine to five. And so Jazmine packed her bags and, along with her daughter, left everything behind. Jazmine is a firm believer in living authentically and following your biggest dreams. She’s been through tough times and wants us all to know that everything will unfold in its due time, so be patient and wait. It’s amazing how this artist, coach, and mother of two gets it all together! Fearless, passionate, and patient – that is Jazmine Howard!